This clichéd family movie is actually not that bad. 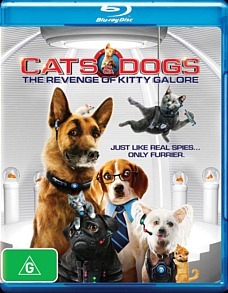 Employing a variety of spy movie and pop culture references, Cats & Dogs the Revenge of Kitty Galore is a light hearted family movie that is filled with action, comedy and even a little bit of intrigue. It's also the follow-up of the 2001 movie, Cats & Dogs which sees some familiar canine and feline characters return plus a health dose of new comers. It's also great to see the improvement of CGI over the years as well. Another positive aspect of Cats & Dogs the Revenge of Kitty Galore is that you don't need to know any prior knowledge of the original movie and all you need to do is sit back, watch and be entertained. The story behind this movie involves a nefarious plot by Kitty Galore (Bette Midler) to turn dogs against their owners. This will force mankind to institutionalise their beloved friends and then cats will become man's newest best friend. However in order to stop this unthinkable act, the canine spy agency known as PAWS must join forces with MEOW, a feline cat agency and in coming together as one, they will hopefully stop the deliciously insane Kitty Galore. 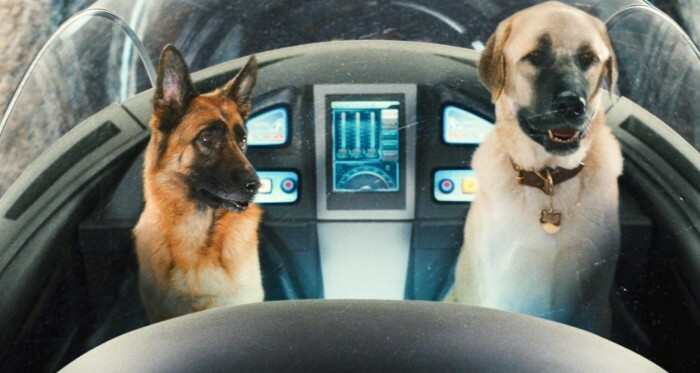 The main characters of the film revolve around the brash police dog Diggs (James Marsden), veteran canine agent Butch (Nick Nolte), a comedic pigeon known as a Seamus (Katt Williams) and MEOW agent Catherine (Christina Applegate). Even though the characters are a motley bunch, they actually work quite well together and there some classic scenes in the movie. Whether it's Diggs and Butch sniffing each other to ensure that humans never know that animals can talk or Catherine's nieces and nephews trying to find the mythical "dog-spot" which makes dogs move their leg when rubbed, it's quite a clever play on the animal world. Another highlight is Roger Moore as Tab Lazenby (more James Bond references) who plays the eloquent leader of MEOW in classic Bond fashion. But you really can't go past Kitty Galore played marvellously by Bette Midler and even though this is a villainous feline, she definitely steals the show. The main human roles are played by Chris O'Donnell, the police owner of Diggs and Jack McBrayer as Chuck the magician, another scene stealer as the bumbling carnival magician. All in all, Cats & Dogs the Revenge of Kitty Galore is an enjoyable ride that although doesn't offer the world of children and family movies anything new, the enjoyment factor is still thoroughly there. Both the video and audio look and sound magnificent on Blu-ray thanks to its 1080p video and DTS HD Master Audio 5.1 that does make use of your surround sound. The colours are bright, the images are super sharp and there are no errors whatsoever in this production. The CGI is definitely the highlight of the video and sometimes you cannot tell which is the real animal or what is CGI. The special features are a little light as compared to Warner or Disney family movies but nonetheless, there are some light featurettes that include some faux gag reels and interviews by the animals which are cute to watch. Add in some animated showdowns from Looney Tunes and Hannah Barbera of cats versus dogs and viewers have some additional cartoon treats. 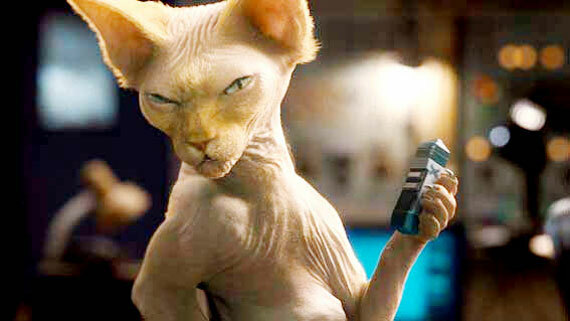 In the end, Cats & Dogs the Revenge of Kitty Galore is a family movie that can be watched by children and adults alike. Although it's a good movie, it doesn't push the safety boundary and try to add something different or unique to this genre but it's still worth to be part of your Blu-ray collection. Check it out!